Skin Care Treatments | Stephen P. Beals, M.D. The advantages of medical skin care is our ability to use medical grade products and modalities. There are so many options on the market that it's often difficult to make the best selection for your individual needs. Let us help you make an informed decision concerning your skin care. Our Aestheticians and Nurses have from of 5 to 25 years experience in the medical skin care profession. We're confident that our dedicated team will make you comfortable – you can trust your skin with us. Microdermabrasion is a simple, straight forward, non-invasive skin care procedure that revitalizes dull skin, reduces large pores, minimizes fine lines and acne scars, reduces mild pigment irregularities and age spots. It is a skin freshening technique that helps repair facial skin that takes a beating from the sun and the effects of aging. The aesthetician uses a device like a fine sandblaster to spray tiny crystals across the face, mixing gentle abrasion with suction to remove the dead, outer layer of the skin. If You're Considering Scottsdale/Paradise Valley Chemical Peel Prospects . . .
A chemical peel is a skin care procedure used to exfoliate the skin and encourage skin cell regeneration. A chemical peel will reduce the appearance of fine lines, lighten pigmentation, clear clogged pores, decrease the incidence of acne breakouts, increase long term skin hydration and firm and tighten the skin. Alpha Hydroxy Acids (AHAs), trichloroacetic acid (TCA) and salicylic acid are commonly used. Chemical peels are safely administered in many different strengths and formulations. Available Chemical Peels are offered by Rhonda Allison, Physician's Choice, MD Forte, Excel AFA, LaRoche-Posay, and CosMedix. If you have uneven pigment, dryness, acne or fine wrinkling, a light chemical peel might be the right choice. This kind of peel removes just the outer layer of skin (epidermis) in a light exfoliation and results in a healthier glow. Your healthcare provider will use a combination of alphahydroxy acids and beta hydroxy acids, such as glycolic acid, lactic acid, salicylic acid and maleic acid. All of these chemicals are the mildest choices. You can repeat these skin care treatments weekly for up to six weeks to achieve your desired results. You may repeat a medium chemical peel every 6 to 12 months to maintain the glow of your skin. If you have deeper facial wrinkles, skin that's damaged by the sun, scars, areas that appear blotchy or even pre-cancerous growths, deep facial chemical peels might be the right choice for you. Your physician will use the strongest chemical called phenol to penetrate down to the lower dermal layer of your skin. For this type of peel, you may need a local anesthetic and a sedative to manage any discomfort. A deep chemical peel usually involves some sort of pretreatment for up to 8 weeks. This will prepare your skin for the peel and speed the healing process. Pretreatment may include use of Retin A – a prescription medication that's derived from vitamin A. This works to thin out the skin's surface layer, allowing the chemical solution to penetrate more evenly and deeply. If you can't tolerate Retin A as a pre-treatment, Dr. Beals may prescribe another medication. For people with certain skin types, there is a risk of developing a temporary or permanent color change in the skin. Birth control pills, getting pregnant or family history of brownish discoloration on the face may increase the possibility of developing abnormal pigmentation. If you have suffered from cold sores (herpes) in the past, there is a small risk of reactivation. Be sure to tell Dr. Beals or his staff because he may prescribe medication before and immediately after a chemical peel to avoid an outbreak. Please inform us if you have a history of keloids (scar tissue overgrowth) or any unusual scarring tendencies. The VI Peel is a specialty chemical peel by the Vitality Institute. This unique peel offers superior results for tone, texture and clarity of the skin, age spots and hyperpigmentation, and pore size. It softens lines and wrinkles, stimulates production of collagen and elastin for firmer skin, and clears acne skin conditions. This peel is quick and virtually painless. It can be performed on all skin types and you will be able to enjoy younger looking, more beautiful skin in about one week. The Lam Probe treatment uses non-invasive radio frequency technology. It effectively treats cholesterol deposits, milia, clogged pores, small raised fibromas, cherry angiomas, skin tags and broken capillaries. For most treatments you see immediate results and the downtime is minimal to none. Acne can be successfully treated and cleared with a series of customized acne facials, chemical peels or microdermabrasion. The aesthetician will perform a deep cleanse and extractions. An at-home maintenance program will also be prescribed for best results. If acne is not treated appropriately, acne scarring may occur from picking at deep (cystic) acne. 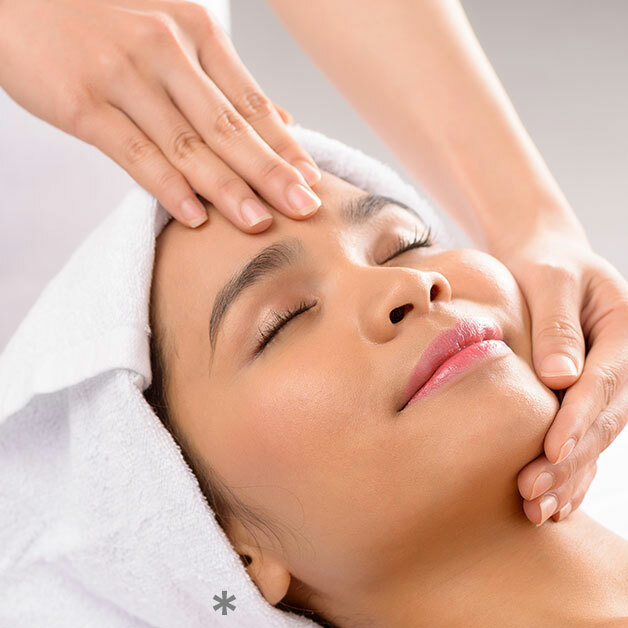 Let your aesthetician guide you to the best skin care treatment plan for you, so that your acne is managed and acne scarring is avoided. Our custom facial is designed specifically to meet the unique needs of each individual. This facial includes a deep cleansing and exfoliation which is followed by a soothing massage and mask. Happily, it's also incredibly relaxing! The products used in Dr Beals' Skin and Laser Center are by Rhonda Allison, Eminence, CosMedix and Physicians Choice. A Dermaplane treatment exfoliates and resurfaces your skin to remove the exterior layer of dead skin. It is performed in our Paradise Valley office by professionally trained technicians using a special sterile blade to gently scrape away the top layer of dead epidermal cells. Along with exfoliating, Dermaplaning also helps remove the unwanted vellus (peach fuzz) hairs from the face. Removal of the outer layer of dead cells and fine hair not only gives the skin a smoother and brighter appearance, it also enhances the penetration of skin care products. In addition, Dermaplaning can prepare the skin for other aesthetic procedures such as chemical peels and PhotoFacials to give the client a better change in the outer layer of the skin. There is little to no downtime with this procedure and most clients see and feel a difference in their skin immediately after the treatment. Dermaplaning is an excellent way to maintain a healthy glow to the skin and can be performed by our licensed professionals at the Dr. Beals Skin and Laser Center on Scottsdale Road in Paradise Valley. Q. Will hairs on the face grow back thicker and darker? A. No. Dermplaning does not affect the actual hair follicle. Once the hair is cut, it will maintain a blunt edge but the main structure of the hair does not change and can not be atered by dermaplaning. The vellus (peach fuzz) hair on the face will grow back the same size, color and shape. Any terminal (course) or dark hair when cut, will grow back the same. The MicroPeel® is a three-step exfoliation process done with dermaplaning, alpha hydroxy acids, and Cryogenic Therapy. Cryogenic Therapy is a skin freezing process where Carbon Dioxide is applied to the face which immediately relieves inflammation and cools the skin. This peel is good for all skin types, even sensitive skin, and has little or no downtime.